This is another one that it would be dishonest not to put it in. I don't think there's any artist that I've ever liked who's disappointed me more than REM. I don't think there's anyone whose career trajectory has been so disappointing, starting so brilliantly and end up just so dreadful, they're just awful. It's hard to imagine now, but in 1984 there weren't loads of reissues of CDs everywhere - there wasn't stuff you could access through the internet. And, Reckoning really sounded like The Byrds. The 60s, even though it was only 14 years ago, was just forgotten. You couldn't find the stuff, you couldn't hear it. And REM opened this gateway again of saying, 'Look, there's all this amazing stuff.' In that way they were kind of like an English post punk band like Gang Of Four or something, playing late 60s American psychedelia and folk rock, but it was quite a daring thing to do because it was extremely unfashionable music. The idea there could have been anything of any value before 1976 was a heretical thing to think. It's so sad what happened to them. 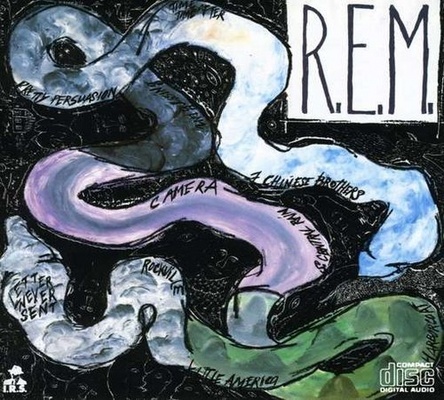 The second album again is so fluid, and again you can't quite understand what Michael Stipe's saying at all, so you assume that the lyrics are brilliant and full of mystery. Now you can understand what he's saying, and you realise it's terrible pretentious rubbish. But the early REM albums were mumbled, it was totally against the grain of the time where New Romantic music was so clipped and clear. I have to mention Reckoning, like Madness, because it made a record collector out of you if you were into them at that age. When they were covering Velvet Underground songs, they were really hard to find then. The 80s was a write-off really, but REM got you into all the things like Dream Syndicate and Green and Red, and then back from that to all the Cowpunk bands. There's a whole area of authentic sounding music that was a real alternative, but again, you wouldn't think it of them now.